Check out the Abaco Island Waterfront Homes in the Bahamas below! Consisting of more than 120 miles of sparkling oceanfront, the Abaco Islands are a true gem of the string of islands in the Bahamas archipeligo. The available waterfront real estate places home buyers front and centre in a stunning tropical island oasis, sure to create a litany of unforgettable memories. The Abaco Islands also provide an impressive array of different property types to suit a range of home buyer wants and needs as well - from condominiums and detached homes featuring resort-style amenities, to private properties offering a true degree of serenity. Browse through the available Abaco Island Waterfront Homes, or you can learn more about what makes these islands so desirable. The Abaco Islands are not a single island but in actuality a large collection of closely positioned island, small and large, atolls and cays. The unique long, skinny shape of the larger islands also serve to maximize the amount of waterfront available. Abaco Island waterfront home owners enjoy absolutely fantastic views of stunning sunrises and sunsets over the Caribbean Ocean. The available real estate that lines the sparkling coastlines are some of the most luxurious in the Bahamas. You’ll have your choice of fantastic waterfront detached homes, condominium units or townhomes. Looking for an investment opportunity? The Abaco Island waterfront real estate make stellar vacation homes that you can rent out when you aren’t using the property. 120+ miles of stunning oceanfront property! 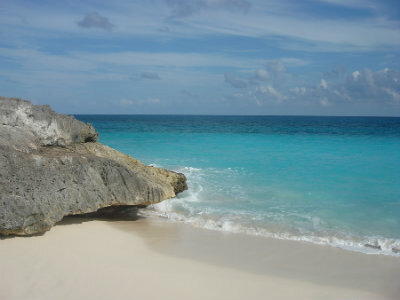 Immediate access to some of the best snorkeling/scuba in the Bahamas. Available homes with private beaches, or deep-water docks. To learn more about the available waterfront property on the Abaco Islands, please contact the Dupuch Team online or call 242-393-1811 to connect with an experienced Abaco Island real estate agent.